According to MIT Sloan Management Review, remote workers now make up roughly 10% of America’s workforce. The remote work concept is certainly a great option worth considering. The sudden rise in remote working is due to the explosion of telecommuting advancements in technology and globalization. Just as the digital and economic landscapes have changed, so have our places of work. Flexibility and mobility in the workplace are among the demands of many workers. Technology now exists to cater for these reasonable demands. I run an online marketing agency in Montreal and we rely heavily on remote workers. Since implementing remote working, our costs have gone down and worker productivity has increased. Be that as it may, remote work has had its fair share of misconceptions and stigmas. I’m going to debunk those myths and then show you the steps you need to take to make remote work fit your business. This misconception is based on an assumption that someone working remotely is more distracted. On the contrary, a recent study by the Harvard Business Review found that companies saw their productivity increase by about 13.5% after permitting remote work. Just because remote workers are not in an office doesn’t mean they can take three hours in the middle of the day for a spa appointment without expecting any repercussions. A TINYpulse-conducted survey showed that a staggering 52% of remote workers reported having contact with their managers at least once daily. Quality of communication doesn’t need to suffer when someone works remotely. It’s important that you provide tools for communication and clearly spell out your expectations to remote workers. There’s no denying the fact that technology has greatly advanced in the past twenty years. Many worry that information and data transferred to a company from a remote work station will be compromised. Nothing could be further from the truth. Advancements in technology, in addition to having qualified IT people, can help keep these types of issues to a minimum. On the contrary, remote working can actually help decrease overhead costs. This is because money that would otherwise be spent on furniture and renting sky-high office spaces is saved. In-office amenities such as copy machines, food, and coffee aren’t needed. If you have fewer people showing up to the office, you require less office space. I’m glad we’ve put these myths to rest. Now it’s time to outline the steps you need to take to make a remote working style fit your business. Regardless of your commitment, it’s nearly impossible to create a remote work solution overnight. There are a number of factors that must be considered before implementing a remote working program. Here are the steps (in no particular order) to follow in order to make remote work fit your business. Everywhere you look, more and more work is moving online. Regardless of whether or not you plan on making your entire company virtual, it is important to start thinking of the characteristics that define a successful online worker. As a general rule of thumb, the characteristics of a talented remote worker often overlap with those of a 21st century in-house worker. They include excellent problem solving skills, excellent communication skills, high organizational skills, ability to self-motivate, and self-discipline. Advancements in technology have made it possible for most work to be done remotely. Whether it’s customer service, accounting, sales, or marketing, it’s very easy to set up processes for remote work. In order to figure out which operations can be handled remotely, you should start off experimenting. Once you’ve worked out certain processes so that remote work is feasible, allow for remote work once or twice per week. By implementing remote working, gradually you’ll be able to get a better idea of the type of work that can be done at home. One option we like to provide at our company is a small allowance for our remote workers. A small stipend to cover the cost of their coffee can make the remote working experience more enjoyable. The more enjoyable it is for workers, the easier it will be to reduce your office space in the future. For this to work effectively, you need to clearly communicate to workers and make the information easily accessible. The information should include what the remote work allowance covers and the amount of compensation the company will provide. That said, remote work allowances remain a tough incentive to crack and aren’t mandatory. It goes without saying that a remote work environment is entirely different from the normal office set-up. As such, your performance reviews should reflect the remote working conditions. A results-oriented work environment (ROWE), is one of the most effective ways of monitoring performance for remote workers. This was a method first implemented by Best Buy in 2005. ROWE is a method where workers are paid based on results rather than the number of hours worked. It doesn’t work for all positions, but if you have certain positions where goals can be clearly met or not met, it’s a great way to keep your company’s goals in line with workers’ goals. It is crucial that remote workers working full hours are provided with the technology needed to do their tasks. You would need to provide an in-office worker with a laptop. Although most remote workers will have this, you shouldn’t expect that they have every single piece of equipment and software that each task requires. It’s important that a worker have the right equipment to work efficiently. It is essential to establish individual expectations of performance. Clearly laid out goals will ensure that hires have opportunities to succeed and are motivated to work. As such, setting up individual expectations of performance is key. You’d be shocked to learn just how many companies lack an understanding of communications etiquette. For remote work productivity to flourish, you need to develop communications etiquette. In order to do this, developing etiquette protocols is the way to go. Again, as the company owner, you need to focus less on technology and more on people. Relying on technology has its fair set of challenges. Constant changes in technology may also result in on-boarding challenges and learning curves. To avoid this, focus on the workers. Start by learning: what can they do better? What are they doing wrong? What are they doing well? Successful organizations spend a lot of time ensuring their managers are ready to lead remote workers. This is especially important when workers are unable to walk down the hall to ask a co-worker a question. You should be investing in proper setup for managers and workers. This will help ensure that your transition to remote working will run smoothly and efficiently. Incentives are part and parcel of the culture composition of a company. The existing incentive structure may not accommodate the needs of every worker, especially if you have started implementing a remote work program. You need to craft a new incentive for remote workers that extends beyond title expectations and salary. As part of the new incentive structure, they might look for allowance adjustments, learning experiences, and technology requests. For example, at our company, we regularly provide access to new courses for remote workers. This allows them to further their career and personal development. Consider investing in a feedback software. Needless to say, software is slowly but surely altering the way we value organizational design and human resources. The software can help make the feedback process easy for colleagues who have taken great leaps in particular initiatives. Workers can provide input on how the company can improve, while the leadership can connect directly with workers by providing timely responses. Recently, gamification in the workplace has grown in popularity. Gamification is set to become the essential mechanism that 40% of the global 1,000 organizations will use to better improve their business operations. Again, if used correctly, gamification can provide solutions to issues with remote work. Since working remotely lacks the occasional interactions experienced in an office setting, gamification helps solve the problem by making work more fun and much more competitive. Gamification helps solve issues related to: trust and productivity, communication, and culture and setting expectations. Working remotely can be extremely lonely. In order to improve workers’ morale, you should have regular company meetups in order to achieve organizational alignment and even more importantly, to connect socially. Having mass retreats sometimes isn’t enough for effective collaboration. If your company budget allows it, set up to have smaller groups break away for some R&R. Find a unique place to excite and inspire the organization. There are many places popping out where company owners and workers can convene for fun personal growth activities to encourage collaboration. Bottom line, don’t just default to having all workers meet at HQ. Rather, pick a location for everyone to have fun and enjoy. 64% of companies don’t have a formal remote working policy, according to CIPHR. The study goes on further to say that only 3% use productivity, engagement, and performance as a measure to quantify ROI. You don’t need red tape and tight regulations in the management of virtual workers. What you do need is a properly laid out infrastructure that engages and supports your workforce. In the absence of an established system to gauge performance, a company wouldn’t know whether or not the remote work program is successful. “Different people have different ways of going about tasks” said Rocco Baldassarre, founder and CEO of IDollarAd.com and Zebra Advertisement. By coming up with a standardized work system, remote workers will generally have less questions and will get a feeling of how long certain tasks should take. Furthermore, they’ll feel a greater need to produce high quality results, just as they would in a conventional office setting. 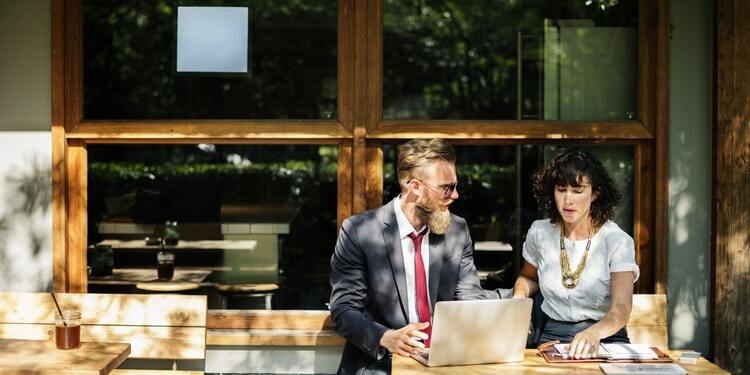 According to the founder of Leadership IQ, Mark Murphy, one of the biggest challenges company owners face in remote work management is ensuring remote workers are continually growing. -What workers would like so as to improve their productivity for that month. This will help you gain a better understanding of what is needed to take things to the next level. -What are they doing better this month relative to the previous month. This helps both your company and the worker gauge what is working and what is not. -What did they enjoy doing the previous month. This is essential to you so as to determine what actually motivates a worker. -What their lowest point was during the previous month. This also enables you to identify areas that are likely draining their remote worker’s energy and motivation. The 4-part conversation series helps you gain a better understanding of what makes remote workers tick and what doesn’t. Also, you can use time tracking software to keep tabs on how time is being spent. It’s easy for virtual workers to feel left out and underappreciated due to the nature of their working conditions. All workers deserve recognition for the value they bring, both to each other and to the organization. Praise is most effective when it is public, specific, relevant, and even more importantly, immediate. Follow this outline to better recognize and promote worker recognition. -Create a community for workers. Remote workers need to be given an opportunity to interact with their colleagues. -Recognize outstanding contributions. Make sure to be specific when recognizing individual efforts. -The reward should be something relevant with what they’re doing. Ask them what they think will be useful to their day-to-day working as opposed to giving them random gift cards or items that may not be valuable to what they’re doing. -Make use of different communication channels. In addition to, say, Slack and email, you can also use phone calls, social media groups, and Skype. Implementing a remote working program definitely has its challenges. It’s not something that will run smoothly overnight, but with careful planning, you can make remote working extremely beneficial for your organization. If you have any questions about how to make remote working fit your business leave them in the comments below and I’ll be happy to answer them for you! 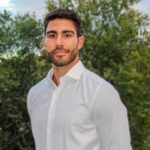 Alexander Hassoulas is the co-founder of Upkeep Media. They provide online marketing services to small and medium sized businesses. If you’d like to reach out to him don’t hesitate to add him on LinkedIn.